Creating and sharing content is becoming increasingly important in the Metropolitan Police's comms team, according to the force's head of media. Ed Stearns was speaking on a panel at a London event last night to launch the PRCA's In-House Benchmarking Report 2015, which found that in-house comms teams were spending more time protecting their organisation's reputation than building awareness – and that these teams increasingly worry that the rest of the organisation does not understand what comms does. Stearns said that the police had circulated a video – shown at the bottom of this story – of drugs, alcohol and a knife being smuggled into a prison with the help of a makeshift fishing rod last year. 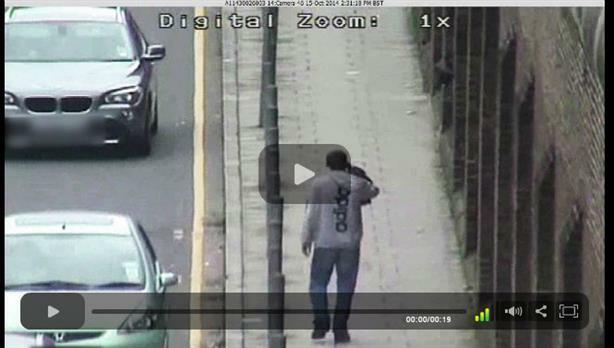 The man caught on CCTV has now been jailed. "That will be seen by a lot of people – that's a fantastic bit of content," he said, saying newspapers would run the story in their print editions and urge readers to look online. He went on to say: "We are becoming a lot more about content." Stearns, a former journalist with the Daily Mail, said some journalists were frustrated at the Met having changed how it interacts with journalists. "We get told 'oh you never say anything any more, we used to get loads of stories from your detectives down the pub but you don't do that any more,' but look at all the content we're putting out," he said. He also said that the force was encouraging individual officers and local branches to be more active on social media and through blogs. He explained that while there were risks inherent to doing so, officers were given a traffic light system as to what they should and should not tweet. "If you weigh up the risk and the reward, the reward wins out," he said. Stearns said he was proud of the Met having kept high levels of public trust despite a "hostile environment", praising his ultimate boss Sir Bernard Hogan-Howe. "The commissioner made a big thing about changing stop and search, and about increasing the number of minority ethnic recruits into the police," he said, suggesting that this kind of work needed buy-in from the top of an organisation in order to be effective. "It doesn't work if you're an environmental campaign and your contract is flying around the world in a private jet," he said. Although Stearns said more digital work and personalised content was a key priority for the future of his team, he acknowledged that print still was very important, on the grounds that when senior police figures appeared before select committees, they were more likely to be asked about newspaper coverage than social media. "Politically, print still wins," he suggested.